Eva follows the Vaganova (Russian) technique with emphasis on proper alignment, turn out, and port de bras. Eva Szabo was born and raised in Budapest, Hungary. She was accepted into the Hungarian National Ballet Institute in 1970, graduating with honors as part of the genesis of the Gyori Ballet. 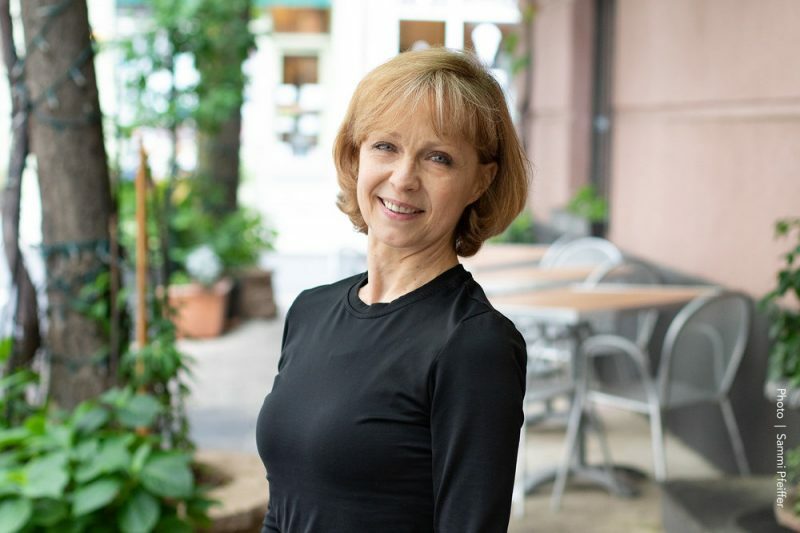 Retiring from the Gyori Ballet in 1988, she took her teaching diploma and her family to Philadelphia. She is currently teaching ballet at the Rock School for Dance Education and Koresh School of Dance. You can Eva’s profile in the Marquis Who’s Who in America book, 2010. You may now purchase classes and passes directly from select listings on the calendar. PLEASE READ BEFORE MAKING YOUR PURCHASE. We accept Visa – Mastercard – Discover – American Express. Sorry but we do NOT accept DEBIT CARDS that require a PIN NUMBER to be entered to make a purchase. You will immediately receive a confirmation on our site of your purchase BUT actual class tickets and passes are emailed only! There is a flat rate service fee per class ticket of $1.00 that supports this site as well as projects in the dance community. This fee will appear under SHIPPING, even though your tickets are being emailed. You can now sell class tickets and passes right from your event listing. When creating a new event, click on the +NEW TICKET button under the TICKETS section. Then specify ticket type & price (general, student, senior). SELECT – Share capacity with other tickets and specify the maximum number of tickets to be sold. Add additional ticket types and prices as needed. ALL TICKETS are processed through PhiladelphiaDANCE.org / Dance Box Office and checks are then sent out 5 business days following events. We charge $1.00 per ticket additional fee to the customer for handling.